The Richmond Times-Dispatch has a great article in today's paper about the history of baseball in Richmond. There used to be an amazing photo below of the New York Giants and Cleveland Indians playing at Mooers Field in Scott's Addition on April 11th, 1946, but the Times-Dispatch told me I had to pay them $250, or remove it. How nice of them. This is such a great photo that hardly any description is needed. Medical College of Virginia nurses singing in their dorm, late 1960s. There's been a lot of talk recently about replacing Richmond's 42 year old coliseum. So let's take a trip back to 1970 to look at the construction of what was then a state of the art arena. Here's video footage of the band BANG opening for Steppenwolf at Parker Field in 1971. There's no sound on the original video, just a medley of BANG studio recordings. Apparently this is the only surviving footage of the band from the 70s. They definitely had sort of a Sabbath/Zeppelin vibe. BANG went on to release their debut album in 1972 on Capitol Records. They followed that up with two more albums on Capitol before breaking up in 1973. They reformed in the late 90s and released a few more albums in the early 2000s. More info here for those that are curious. Love the WLEE banner on the stage in this video! 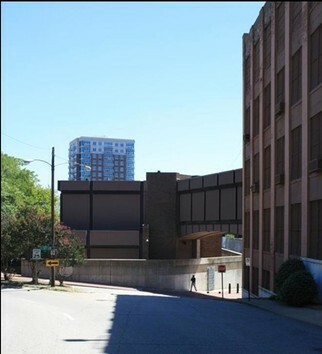 Reynolds Metals buildings to be redeveloped. There's a great story in today's Richmond Times-Dispatch about the revitalization of the former Reynolds Metals property along the Haxall Canal in downtown Richmond. I've been waiting for this to happen since my old roommate and I used to ride our mountain bikes around the then completely desolate canal walk in the early 90s. 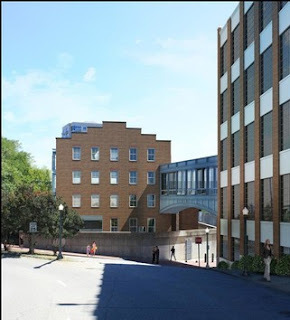 We've come a long way since then, and this seems like it will be another positive step for downtown Richmond.